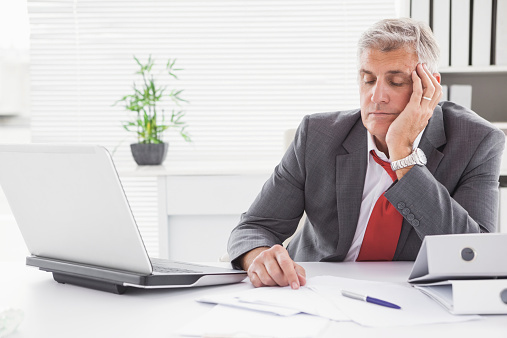 Did you know that there are natural ways to avoid that mid-afternoon energy slump, aka afternoon fatigue? That “afternoon crash” has happened to all of us. You’re buzzing through your workday or your day of household chores, when all of a sudden, bam! It feels like you’ve had the wind sucked out of your sails…and all you want to do is sleep. — Pacing yourself is vital to avoiding an energy crash. If you try to complete all of your tasks for the day before lunchtime, you can bet that by the time the afternoon rolls around, you’ll be about as productive as a congress meeting on Capitol Hill! You may have conditioned yourself to be a go-getter, but it’s very easy to overtax yourself. Set a good pace to your day. Spread your tasks throughout the day and find time to eat and rest in between. — Taking a nap is another great way to recharge your battery for the afternoon. A power nap, as short as 20-30 minutes, can help your body and mind recover to stave off fatigue and keep you moving. If you have trouble sleeping at night, however, or suffer from insomnia, a nap might actually end up making things worse. In these cases, it’s advisable to go for a 20-30 minute walk to get the blood flowing. It will wake you up and potentially make it easier to sleep at night. — Hunger is another catalyst for an afternoon crash. Sometimes you can get so caught up in what you’re doing that you might forget to eat; try to schedule meals and snacks into your day to provide fuel at a steady pace. What you eat is very important, and although a candy bar, donut or croissant might be a tasty source of calories to give you a short-term burst, it will rapidly lead to a quick crash. Your blood sugar levels will be taken for a ride up high, then down quite low again. Instead, make sure to eat lean sources of protein and unrefined carbohydrates, like whole grains. A cup of Greek yogurt with some honey, nuts and raisins, or even an apple can give you a great mix of carbs, fiber and protein—this will keep your body functioning at its optimal performance level. Don’t let afternoon fatigue get the best of you; pace yourself, get rest, and eat the right food to keep your energy levels up all day long.